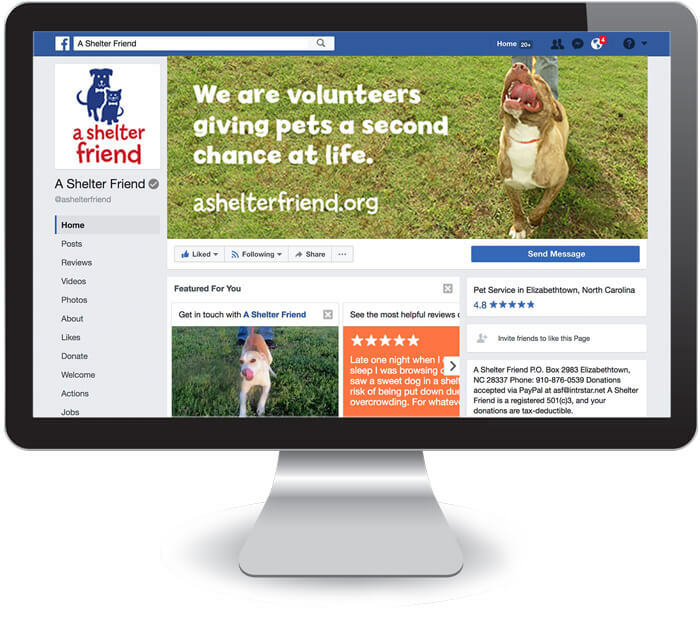 Background: A nonprofit organization, A Shelter Friend facilitates the rescue of animals from county shelters in southeastern North Carolina to other parts of the country. Problem: The branding was inconsistent and confusing: one logo was used on the website, while a different one was used on social media. The logo was in need of an updated look without a complete redesign. The only logo files that were available were web quality; therefore, the logo did not produce well in print such as in brochures or shirts. 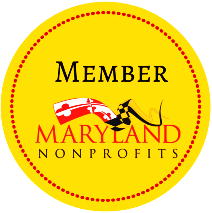 Solution: Keeping the existing brand colors to maintain recognition with their audience (donors, fosters, adopters, Facebook followers), we refreshed and modernized the logo design. 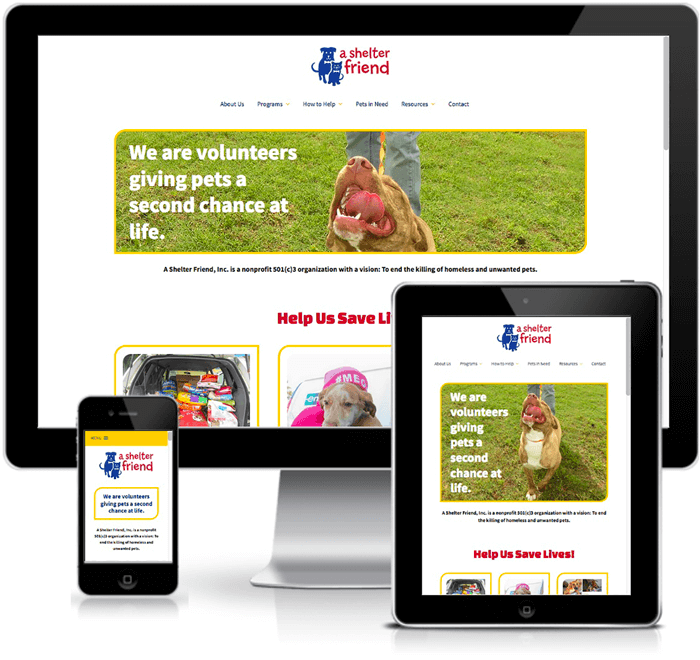 As part of all of our logo design packages, we created all of the necessary web and print files, along with a guide, so that the organization knows which file to use in a web or print situation. 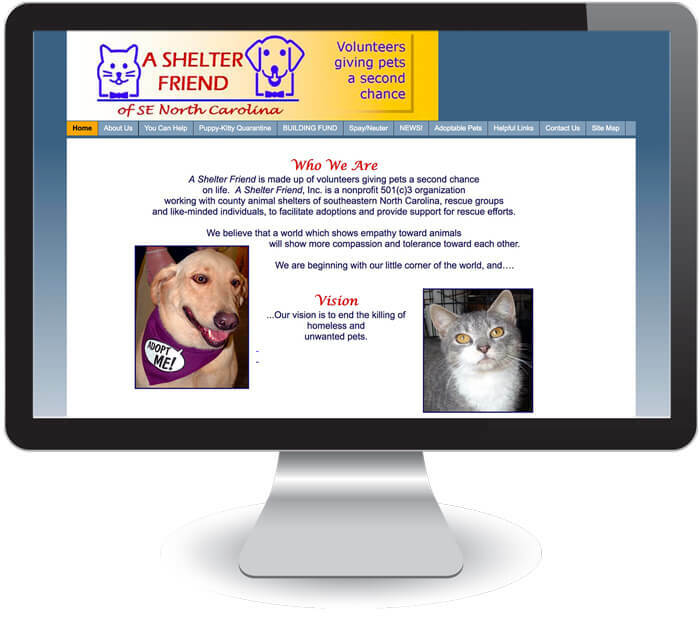 Because of Colleen’s passion for helping shelter animals, the work was done pro bono.